Greifensee, Switzerland. 2 May, 2013 – METTLER TOLEDO has developed a new microgram load cell for use in an experiment aimed at establishing a new definition of the kilogram. 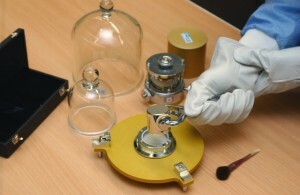 The kilogram is the last unit of the International System of Units (SI) still based on an artifact – the international prototype of the kilogram (IPK), kept at the Bureau International des Poids et Mesures (BIPM). Mass comparisons with the IPK have indicated a mean drift in the official IPK copies of 0.5 µg/year. To get better stability, scientists have been working on a new definition of the kilogram based on a physical constant of nature, which should be reproducible regardless of geographical location. The new load cell is a critical element in the Swiss based leg of this global challenge headed by the Swiss Federal Office of Metrology (METAS). The IPK prototype, machined in 1878, is a cylinder of platinum-iridium alloy (Pt 90% – Ir 10% in mass) whose height (39 mm) is equal to its diameter. Six copies were designated as official copies and are kept in the same protective conditions as the international prototype. To assess the evolution of the official copies relative to the IPK, three comparisons have been carried out since 1880. The results of these comparisons have clearly put in evidence, a relative drift of this set of masses with respect to the IPK, evaluated at 0.5 µg/year.Today, all modern mass measurements are directly related to the IPK. 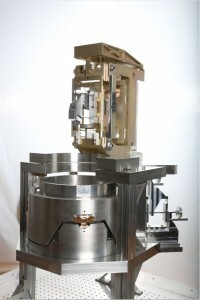 The relative uncertainty of each measurement is declared according to the comparison of a test weight used on the same weighing apparatus with the IPK. There is no currently accepted standard for defining the kilo in the same way as for other standards e.g. the meter is defined according to the distance light travels in a vacuum in a specified time period. The relative weight between the IPK and its copies is changing minutely over time and it is this which is driving scientists to redefine the kilo. METAS, in conjunction with other international scientific institutions, aims to complete this redefinition by 2015. 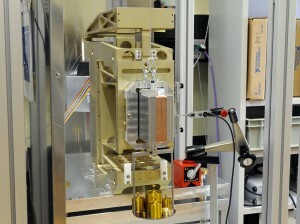 In a fifteen year project, METAS has been using a Watt balance in a two-phase experiment: weighing and moving. In the weighing phase, a macroscopic mass and a coil are suspended from a balance with the coil placed in a magnetic field. Using the principle of electromagnetic force restoration, the current needed to compensate for the addition of the weight is measured. In the moving phase, a voltage is induced in the same coil by moving it vertically within the same magnetic field. The voltage measured is directly related to the speed of the movement of the coil. By comparing the two experiments, an equation is derived in which the electrical power is related to the mechanical power, hence the name Watt balance. Collaborative partners in the project include the Federal Institute of Technology in Lausanne (EPFL) for the movement system, the European Organization for Nuclear Research (CERN) for the magnetic system and METTLER TOLEDO for their expertise in mass comparison. 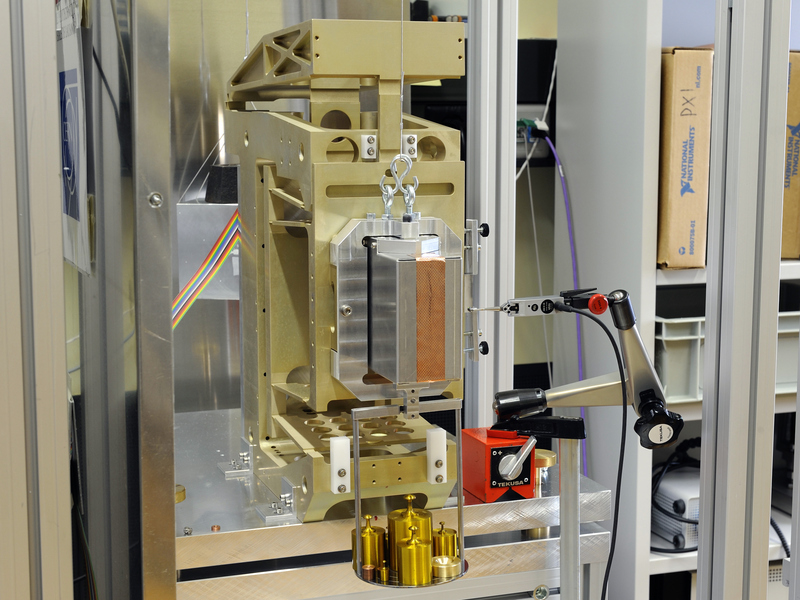 The load cell needed to measure the residual force in the weighing phase is a critical and challenging component of the apparatus and must reach a 1 µg resolution for a total load just below 2 kg. To meet this requirement, a new microgram load cell was created by an interdisciplinary team from METTLER TOLEDO. The new patented MonoBloc® load cell is significantly lighter than the most accurate existing load cells and exceeds the requirements with a startling 0.3 µg resolution. This highly accurate load cell helps to provide the reproducibility required to fulfill the acceptance criteria.Leading the METTLER TOLEDO project, Daniel Reber stated, “This is a really exciting development for us as a company and reinforces our reputation in weighing expertise. Durable, Seal-less Pumps for High or Low Pressure Duty.